What are the different types of abrasive grain? Ceramic Alumina – Ceramic abrasives provide the longest life & fastest cut rate of all coated abrasives. They are the newest grain innovation and represent the ultimate in performance, providing an aggressive, consistent cut under moderate to high pressure. Ceramic is usually red or orange in color. Used primarily on metal applications. Ceramic is available in grits 24-120. Zirconia Alumina– Zirconia Alumina is commonly referred to as Zirc or Zirconium. Zirc is ideal for coarse to medium grit applications on metal (best choice for abusive applications). Zirc is usually green or blue in color. Works best under high pressure (which is required for the grain to fracture exposing new sharp edges). It has large fracture planes and it self-sharpens as it cuts. Zirc is available in grits 24-180. Aluminum Oxide– Aluminum Oxide is the most common & least expensive. Good starting point for most metal and wood applications. Aluminum Oxide is usually brown or reddish in color, but can be blue, green or yellow (which usually indicates the presence of a grinding aid/lubricant). It is durable with tough cutting edges, but it dulls during use. Aluminum Oxide is available in grits 24-600. Silicon Carbide– Silicon Carbide is good for grinding glass, plastic, rubber, paint, wood products, titanium alloys and cast iron. 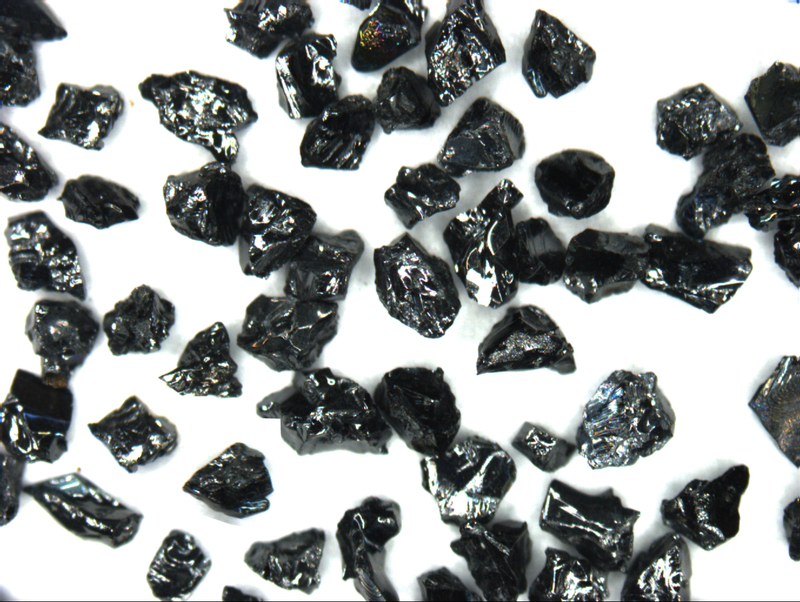 Silicon Carbide is black in color. It is a sharp, hard synthetic abrasive. Its friable grains fracture to continually expose new cutting edges and permit fast stock removal. Crocus– Crocus is reddish brown in color. 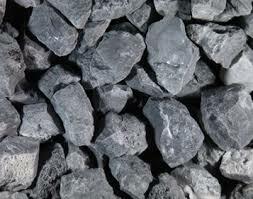 It is a soft material made from iron oxide. It is the finest natural grain produced. Its applications include cleaning and extremely fine polishing of soft materials such as gold. Emery– Emery is a dark gray round-shaped natural grain. It is better used as a polishing grain than a cutting grain. It is used for cleaning and polishing metals. 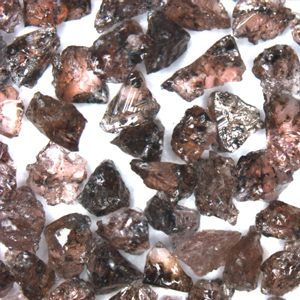 Garnet– Garnet is a reddish brown natural grain. It is relatively sharp and has a medium hardness. Its durability cannot be compared to that of synthetic abrasives (aluminum oxide) and thus is not used much any longer. It is used for finishing applications in soft woods such as fir or pine. Both grains have advantages on certain materials. S/C has a long sharp needle-like grain structure which permits fast stock removal, but generally has a short life. Aluminum oxide has a “blocky’ grain structure. This durable grain generally will last longer than S/C. S/C is generally the best choice for glass, plastic and rubber. It is also non-contaminating which makes it popular in aerospace applications – especially on titanium. S/C is available in grits 16 – 600. A/O is a tough durable grain that works reasonably well on most materials. It is the most common & least expensive. It’s “blocky” shape does not allow it to fracture easily, so it does not stay sharp through it’s usable life. Z/A – commonly referred to as Zirc or Zirconium. They are ideal for coarse to medium grit applications on metal (best choice for abusive applications). Works best under high pressure (which is required for the grain to fracture exposing new sharp edges). Zirc was the first innovation in self-sharpening grain technology. 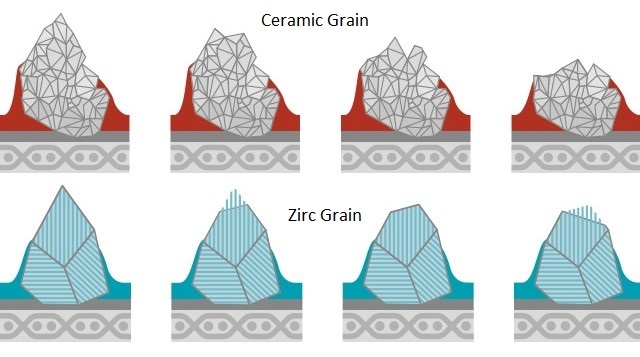 Zirc grain has “large fracture planes”, which means a large portion of the grains flakes away as they resharpen, limiting the number of times the grain can resharpen itself. Zirc is available in grits 24 -180. C/A – ceramic abrasives are the newest innovation in grain technology. They provide the longest life & fastest cut rate of all coated abrasives. They represent the ultimate in performance, providing an aggressive, consistent cut under moderate to high pressure. 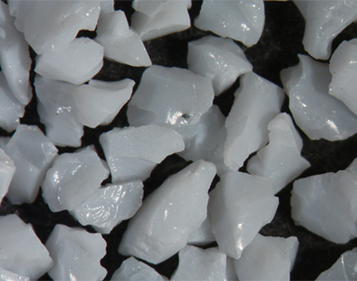 Ceramic grains feature very small fracture planes which allow each granule to constantly resharpen and provide extremely consistent stock removal through its usable life. Ceramic is available in grits 24-220.